based on an article that originally appeared in “Mandolin Magazine,” Fall 2001. When Ludwig von Beethoven was a young man in Vienna, the mandolin was enjoying a period of popularity among the cultured nobility as a delightful instrument both to play and listen to. Italian mandolin virtuosi had migrated north to Paris, Vienna, and other European capitols, employing themselves with teaching, composing, and presenting salon concerts for the aristocratic public. Beethoven, as many young composers of his day, was looking to make a name for himself in the right circles, to gain patronage and a good reputation. As mandolinists we can be grateful that he chose to honor some of his patrons and fellow performers with a handful of gems for mandolin, accompanied by harpsichord. The fact that he chose the somewhat old-fashioned harpsichord to accompany his mandolin pieces indicates his intentions for the music. Although the piano had overtaken the harpsichord as the keyboard instrument of choice for serious concert music, the harpsichord was found more frequently in the home, where its gentle plucked texture nicely accompanied an amateur singer or musician. It appears that Beethoven wrote at least six pieces for mandolin, and four of those have survived. In this article and the next we’ll consider his two “sonatinas” for mandolin, one in c minor and one in C major. Both are charming pieces that show us the nature of salon music in late 18th-century Vienna, and the budding talents of the young composer. Beethoven’s “Sonatina for mandolin in C minor” is a lyrical piece written in 1795, probably for Josephine Clary, the Countess Clam-Gallas, an early patron and talented amateur mandolinist. There is some supposition that Beethoven may have had a crush on the Countess, as his “Adagio for mandolin” is inscribed: “to the beautiful J., by L. v. B.” The piece is written in a single movement, and includes a theme in the central C major section that Beethoven was later to use in the first work of his Opus 14 pieces for piano. 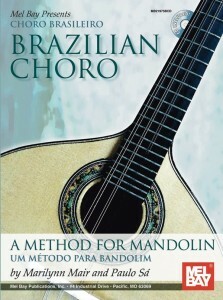 You can find the music for this piece in many mandolin collections and method books, including mine. 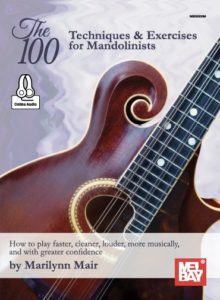 I also included a copy with the article when I originally published it in Mandolin Magazine. Keeping in mind issues of phrasing, rubato, and dynamics, try reading through this piece, varying your interpretation until you find one that resonates with you. Whether you ultimately choose to play the piece with or without tremolo is a matter of artistic choice. The former is probably more historically correct, and can have a lovely delicate effect, but one shouldn’t rule out the possibility of using tremolo at any point in the mandolin’s history, as its characteristic texture is such an natural and logical part of mandolin technique. Posted September 30th, 2001. Bookmark the permalink. Both comments and trackbacks are currently closed.